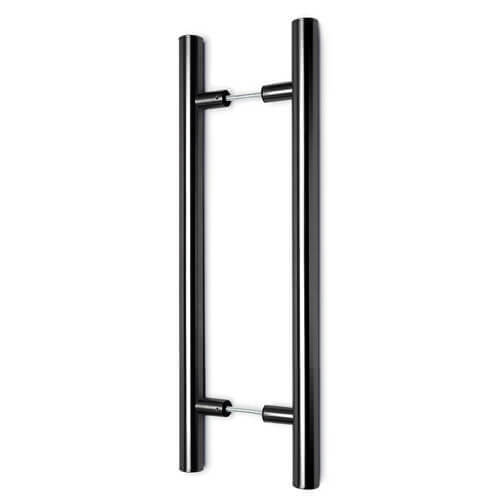 Push/pull door handles in a very dark grey (near black) finish, available in 500mm, 700mm and 1000mm lengths to fit 8mm to 40mm door thickness. Zamak is a family of alloys with a base metal of zinc with elements of aluminium, magnesium and copper. PVD (Physical Vapour Deposition) coatings are usually harder and more corrosion resistant than coatings applied by electroplating and tend to have high temperature and good impact strength, excellent abrasion resistance and durability. 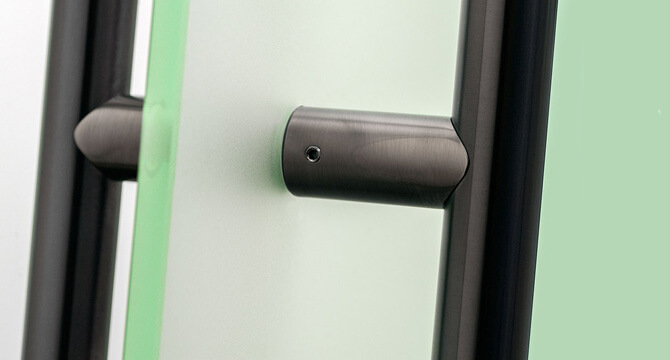 Anthracite finish door handles are manufactured to order, please allow a 14 days for production. Double-Sided. Each pack contains handles for both sides. 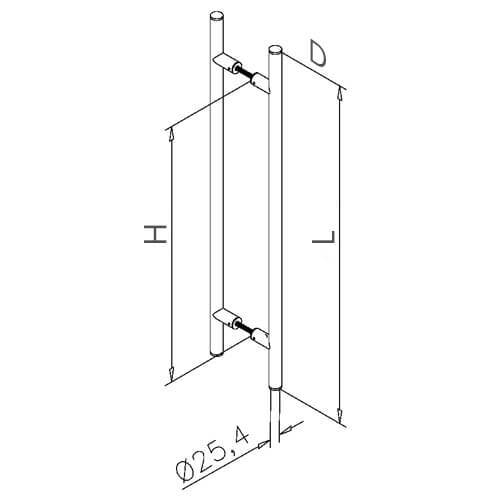 Strong double-sided push/pull door handle system to fit door thickness up to 40mm, for use with glass doors, glass swing doors and wooden doors. 25.4mm diameter bar handle design manufactured from Zamak with a PVD coating to give a hard-wearing anthracite finish. PVD (Physical Vapour Deposition) coatings are usually harder and more corrosion resistant than coatings applied by electroplating, offering good impact strength, excellent abrasion resistance and durability. 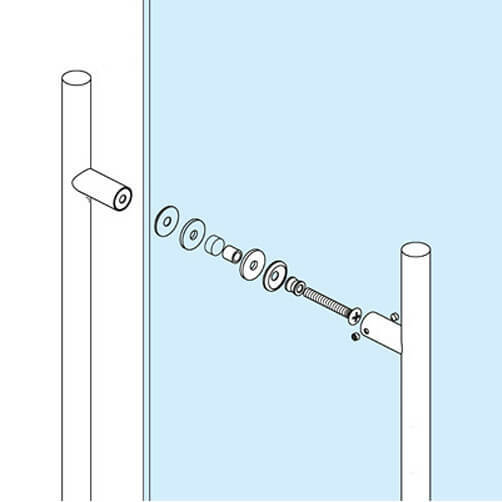 Glass doors will require professional drilling at manufacture stage to accept this stainless steel door handle. 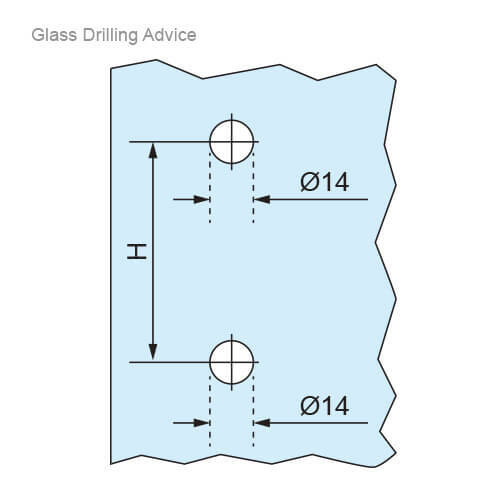 Laminated Glass suitable for use with stainless steel door furniture.